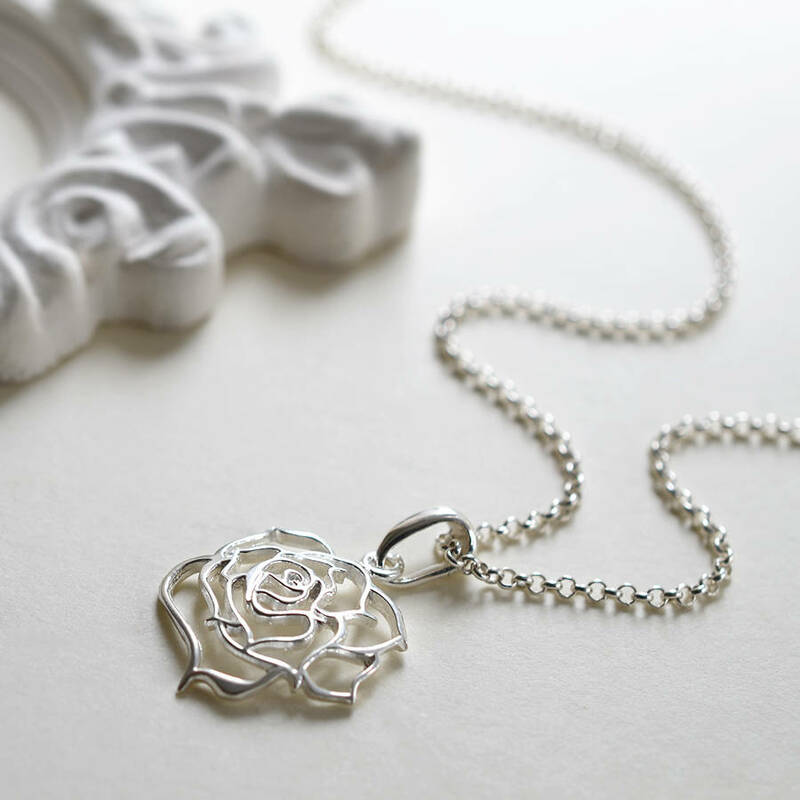 Our beautiful Sterling Silver Filigree Rose Necklace captures the elegance of a rose effortlessly. The perfect flower necklace that will never need watering! 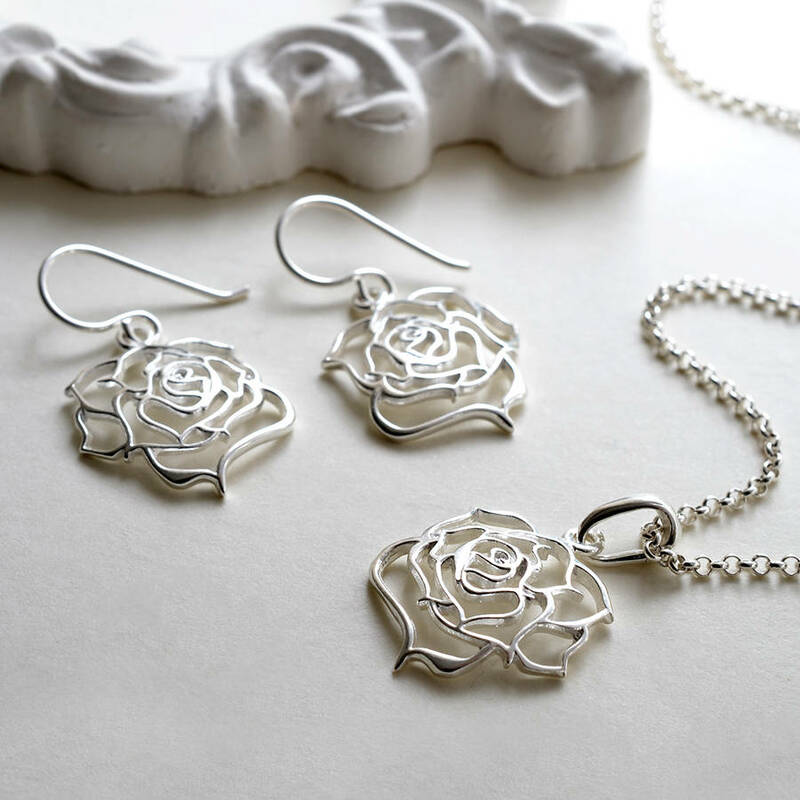 This wonderful sterling silver necklace is delicate and detailed, a wonderful gift for a friend or loved one that loves flowers or gardening. 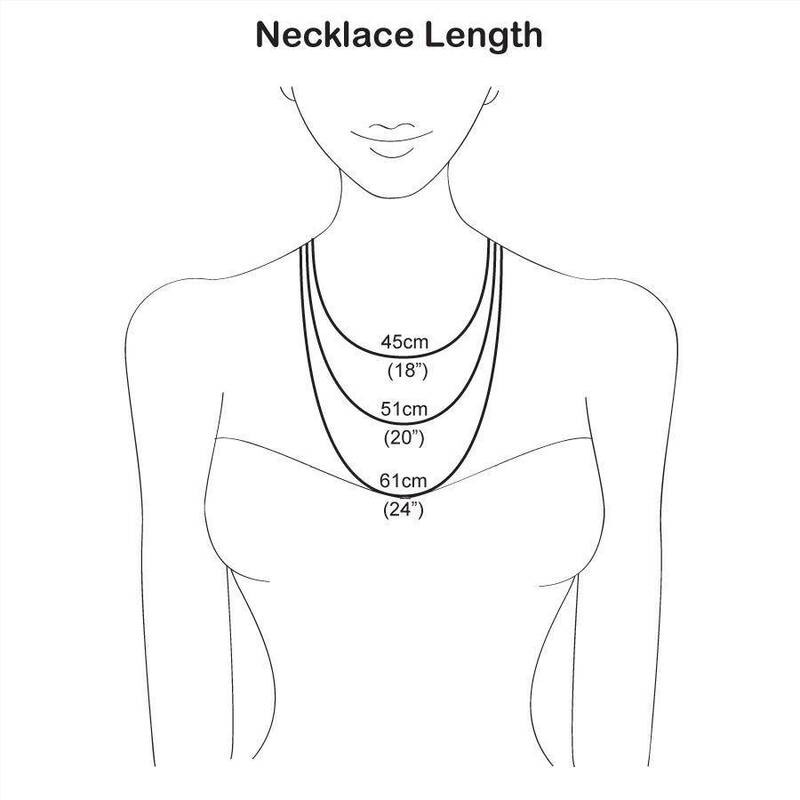 Necklace Length - Standard 40-45cm, 50cm or Long 61cm. 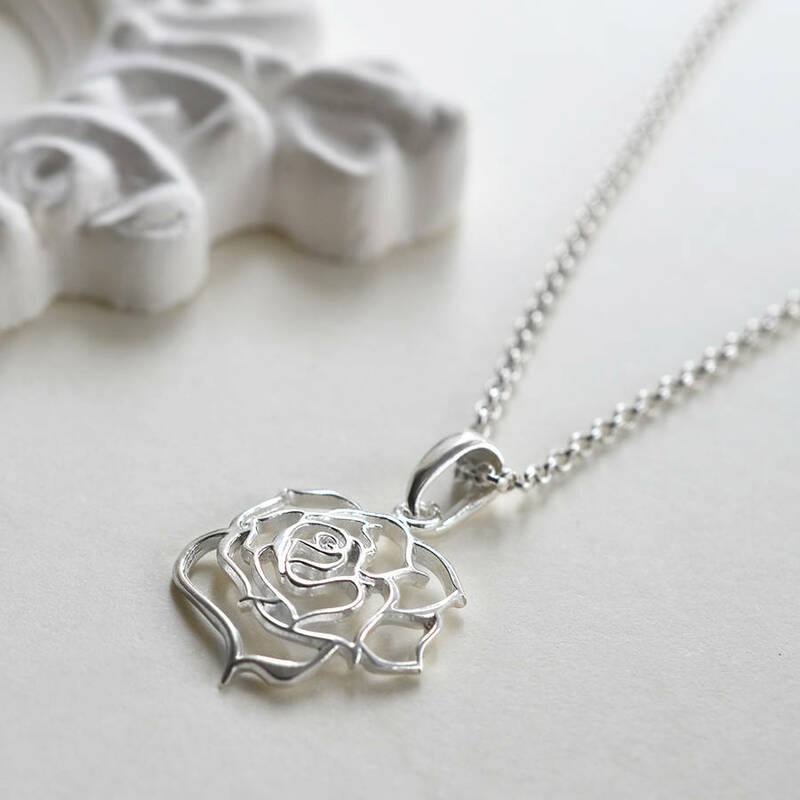 Rose pendant 1.6cm x 1.6cm. Earrings 1.6cm x 1.6cm. Add on key charm 1.3x0.5cm. 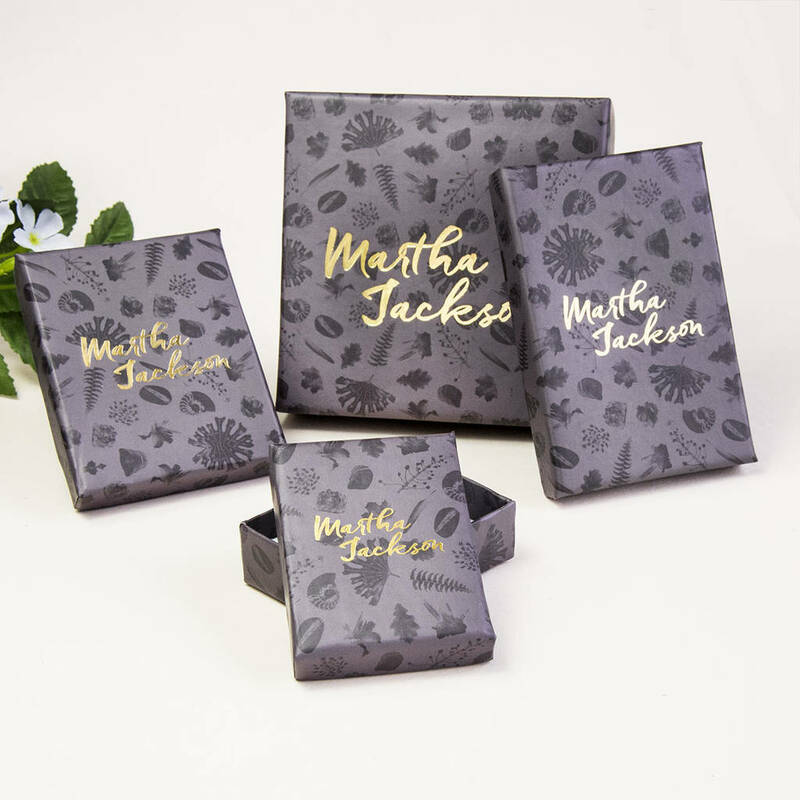 Letter charms vary in size from 1cm to 1.5cm long.